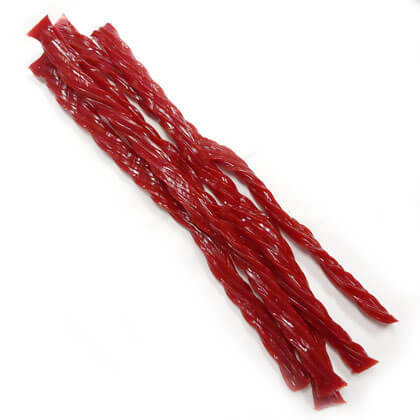 Traditional soft, chewy twists. Available in strawberry only. Approx. 2.5 pieces per ounce. 11 oz bag. Pearl's has the best chocolate licorice I've ever tasted. Unlike others I've tried, this tastes like real chocolate. I just love it! Plus Pearl's ships their products very quickly! High quality products and great service!